Homeopathy today is the second method of treatment in the world by a number of users, according to data provided by the World Health organisation. The Chinese traditional medicine is in the first place, the third is phototherapy, a fourth is allopathic medicine. What homeopathic medicines are currently in use, and the experiences with homeopathy read below. 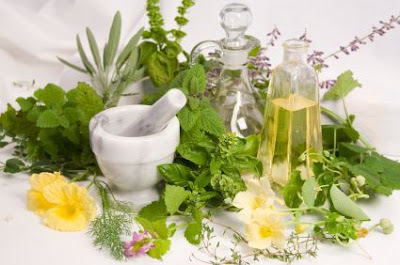 Homeopathy is a recognized branch of traditional medicine and is based on encouraging self-healing by using small quantities of products (homeopathic medicines) which are introduced into the body. In the early eighties, the Congress of Traditional Medicine in Alma Ata, homeopathy treatment is included in the list of standard therapy alternative and today occupies a high second place. This approach to the treatment of course has no guarantee for cure of all diseases, because, for example, homeopathy cannot replace surgery. This method helps the body of the patient to find a way to self-healing. It has a long history and extensive experience of many generations of therapists and so by no means should be ignored. It is, however, noted that modern allopathic medicine has given adequate space and gave it a lot of attention. What we argued and what we know is that homeopathy does not cure diseases in the classic sense of the word, but rather disorders of energy which results in the emergence of various health problems. The energy balance depends on many factors, primarily on the constitution of a man, inherited and acquired predisposition to disease (miasma), ways and conditions of life. To put it simply, the cure depends more on patient’s care than that of which disease is suffering, and every man is approached as a single individual who may have a similar, but not identical disease as someone else. The creator of homeopathy, in the form in which it now applies worldwide, is Dr. Samuel Hahnemann (1755-1843), who’s "Organon of Medicine" begins with the sentence: "Doctors only mission is to restore the health of the patient". In fact, this method is not limited to the physical level of existence, but the man is seen as vital (life) force or energy that manifests itself on three levels: mental, emotional and physical. 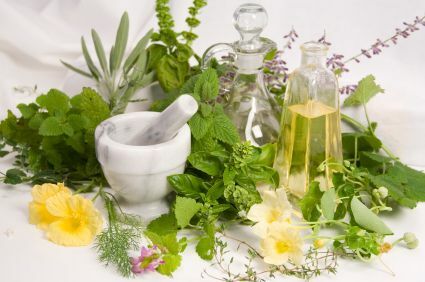 Under the influence of various influences, vital force can get out of balance and in homeopathy it is considered a disease that has specific symptoms manifested in the mental, emotional or physical level. So, the disease can exist only on the energy level where exactly is the vital force found, and everything that happens on the other two levels is nothing but a manifestation of the disease. By observing the man as energy, homeopathy does not negate the methods of modern medicine, but should, on the contrary, complement it, going in the living beings that are unknown to the official mode of treatment. Dr. Samuel Hahnemann was conducting research on it and came to great results. He was convinced primarily that if you take higher doses of certain substances it can cause symptoms that otherwise we treat (with smaller amounts of the same drug). Thanks to this knowledge, he developed the unique system flow, whereby each disease is treated by the system that would cause these symptoms-pointing to signs of sickness. From then until today there are different homeopathic remedies to treat the entire spectrum of various ailments and diseases. We will explain this approach best with an example: When cutting onion we regularly have watery eyes and runny nose, what are the most common symptoms of colds, allergies or with inflamed sinuses. Allium Cepa - onion is an excellent homeopathic remedy for sinuses and also against colds and allergies. Still, Paracelsus (1493-1541) established the principle of “similar things cure each other” underlying the present homeopathy. It helps the natural tendency of the human body for self-healing which is an integral part of every living being. Homeopathic remedies act as stimulants of natural ability that under the influence of different influences can be slowed or blocked. The result of this kind of treatment approach is not merely the absence of disease but the physical and mental-emotional balance, increased energy and a feeling of happiness and satisfaction. Homeopath prescribes the drug in the form of a tablet, granules, powder or liquid solution. Fifteen minutes before and after taking the medication we should not put anything in your mouth, not even water, toothpaste containing mint or a cigarette. Also, recommended is avoiding peppermint, coffee, certain teas or products that contain menthol, chamomile, eucalyptus or camphor, as they can nullify the effect of the homeopathic preparation. After taking the drug the patient may notice some changes: some people are in very good mood and full of optimism, while others operate as if their condition worsened briefly, as a signal that the Homeopathic medicine began to work. Cold, rash or some other form of state may appear as the effect of cleaning the body, but do not worry because this is a very important part of treatment. Length of treatment depends on the types of ailments, as well as on the individual patient. The best effects are achieved if homeopathy is combined with official medicine (allopathic0 which has become the practice in many hospitals in the developed countries. It is difficult to enumerate all the diseases whose treatment showed excellent results with this treatment and is most often used in case of mild and severe mental illnesses, colds, flu, allergies, headaches, as the digestive, cardiovascular and rheumatic diseases and stress. Homeopathy successfully treats pneumonia, gastritis, urinary infections, and even injury – there are cases of a much faster healing of bone fractures when administered homeopathic therapy. In the case of acute illness cure with homeopathic preparations is faster and does not cause side effects, unlike the methods with allopathic medicine. Thus, for example, flu, with the treatment with allopathic medicine passes in seven days but patients who carry out the treatment of homeopathy passes the very next morning. Due to its non-toxicity homeopathic remedies for children are suitable even for babies, of course, with mandatory consultation with a paediatrician. When it comes to milder problems, the application of this method is often sufficient for a complete cure. An increasing number of physicians combined homeopathy with phototherapy, acupuncture and chiropractor because only a holistic approach can ensure efficient and complete healing.